Nike Dry fabric helps you stay dry and comfortable. Gripper waistband gives you a locked-in fit. Tapered design fits close to the legs. Zippered pockets provide convenient storage. Chelsea FC crest and colors show off your team pride. 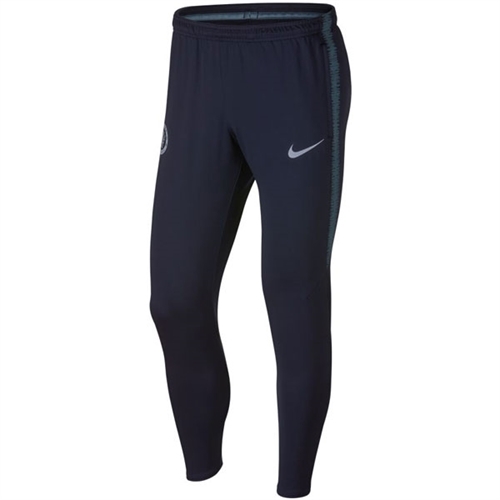 Our Nike Chelsea FC Squad Pant 2018 are made with authentic team details are backed by functional features like sweat-wicking Nike Dry fabric, zippered pockets and a close, football-ready fit.